The property site is subject to a long term 15 year least to Fitness International, LLC, the largest health club in the United States with estimated revenues exceeding $1.912 billion in 2015, nearly 35% larger than the second largest operator, 24 Hour Fitness. Fitness International carries an S&P credit rating of “B+”, on par with other large retailers such as AMC Theaters and Burger King. Throughout the duration of the lease there are 10% rental increases every five years. This lease structure amplifies return on the investment and provides a hedge against future inflation. Within two miles of the subject offering, there are over 201,000 residents, 2,249 workplace establishments with an estimated daytime population of 105,000. This trade area is extremely under served for retail and is limited to only a few clusters of larger box opportunities within a two mile radius. There are a number of grocery stores including Pete’s Cermak, Aldi, Food 4 Less, and Jewel Osco, all competing for business in this dense marketplace. Marcus & Millichap exclusively presents a Net-Leased Portfolio of four freestanding Family Dollar Stores located in various locations throughout New Mexico. Almost all of the stores are located in areas where Family Dollar is the main provider of daily necessity consumer goods. Established in 1959 Family Dollar, has been in business for more than 50 years. One of the nations' fastest growing retailers, Family Dollar offers a compelling assortment of merchandise for the whole family. Dollar Tree, America's leading operator of discount variety stores announced in July 2015 that it acquired Family Dollar Stores, Inc. creating the leading discount retailer in North America. The combines organization will operate more than 13,000 stores in forty eight states and five Canadian provinces, with sales exceeding $19 billion annually. This acquisition of the leading fixed price point stores, Dollar Tree and the leading operator of multi-price point stores, Family Dollar; will provide enhanced financial performance and improved growth prospects. Established in 1959, Family Dollar has been in business for more than 50 years. One of the nations' fastest growing retailers, Family Dollar offers a compelling assortment of merchandise for the whole family. Dollar Tree, America's leading operator of discount variety stores announced in July 2015 that it acquired Family Dollar Stores, Inc. creating the leading discount retailer in North America. Marcus & Millichap is pleased to exclusively present a net leased Wells Fargo in Nampa, Idaho. Wells Fargo is a 5,000 square-foot freestanding building. There are thirty years remaining on the original forty year corporate guaranteed lease with ten percent rent increases every five years. The tenant has a lease termination option every five years beginning in year fifteen. Located in a retail power center Wells Fargo is surrounded by Walmart Supercenter, and the College of Western Idaho (campus expansion plans underway), currently serving 9,000 students and 1,100 employees. A new 100-bed hospital facility is under construction in addition to new medical office space. The surrounding area has the highest concentration of Class A office space in Nampa. The property is adjacent to the Ford Idaho Center and Horse Park with more than 320,000 annual attendees per year The population within three miles is 27,253. The average household income within three miles is $60,099. 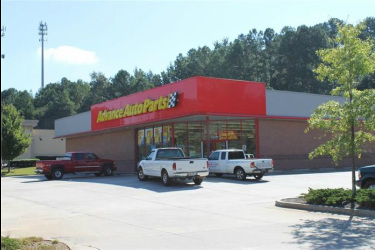 Marcus & Millichap is pleased to exclusively present an Advance Auto Parts for sale. Advance Auto Parts is a 7,000 square-foot freestanding building located at the Gateway to Randolph Air Force Base in Universal City (San Antonio), Texas. Universal City is host to an affluent population with economic drivers such as Northeast Lakeview College, The Forum at Olympia Parkway, Retama Park, and Universal City Park. In December 2016, Advance Auto Parts just renewed their lease with a five year extension ending in December 2021. There is a third renewal option for five year with a 3.31 percent rent increase. 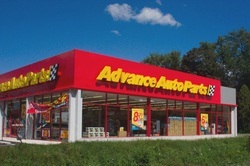 Advance Auto has had strong and consistent historical sales at this location. Tenant pays 2.5 in percentage rent in extended second and third options. Advance Auto parts is surrounded by a dense population totaling 185,929 within five miles of the property. The average household income within three miles is $74,172. Traffic count exceeds 26,000 vehicles per day. Advance Auto Parts, Inc. is the largest automotive aftermarket parts provider in North America, and serves both the professional installer and do-it-yourself customers. Advance operates over 5,200 stores, over 100 Worldpac branches, and serves approximately 1,300 independently owned Carquest branded stores in the United States, Puerto Rico, the U.S. Virgin Islands, and Canada. Marcus & Millichap exclusively presents for sale Seguin Corners a 7,022-square foot retail center in Seguin, Texas. Located directly off the main Highway 123 Bypass Seguin Corners is surrounded by many national retailers to include Walmart Supercenter, H-E-B, Bath & Body Works, Wendy's, and many more. 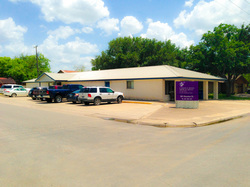 The Guadalupe Regional Medical Center is one-half mile from Seguin Corners. With a retail trade area population of approximately 115,000, Seguin serves as the retail hub for three major counties, Guadalupe, Gonzales, and Wilson. Seguin's retail trade area encompasses multiple rural cities throughout the region including Luling, Gonzales, Nixon, Stockdale, Floresville, La Vernia, and Marion. Seguin is seeing business expansion city-wide, with many nationally known retailers entering, returning, and expanding in the market. Strategically positioned in south-central Texas, Seguin remains to be the only major retail stop between San Antonio and the Houston Metropolitan Statistical Area on Interstate 10. 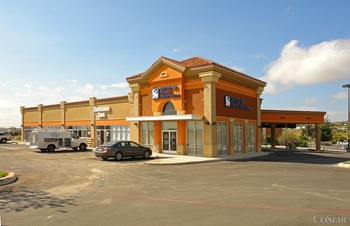 The large majority of Seguin's retail development lies within three retail nodes throughout the city's Interstate 10 and State Highway 46, Interstate 10, and State Highway 123 and State Highway 123 and US-90 (Court Street). Redevelopment Opportunity: Clothes-Max will vacate upon sale of the property and Clinic will restructure their current rents with new owner. The investment property consists of 7,735 square feet of retail near the intersection of General McMullen Drive and Castroville Road. Built in 2009, the building offers an investor immediate upside by leasing the vacant space and bringing the current rent up to market. The center is positioned directly across the street from the area's primary grocery store, HEB. Other notable retailers in the area include Rent-A-Center, Luby's, Family Dollar, O'Reilly Auto Parts, Citibank, Humana, EZ Pawn, and Wells Fargo Bank. The center has Attractive Monument Signage on General McMullen Drive and a daytime population is over 35,000 in a three mile radius. Heavy Traffic on General McMullen Drive of over 28 thousand per day and Castroville Road has an additional 23 thousand per day. Marcus & Millichap exclusively presents a 9,014-square foot Dollar General in Temple, Texas. The property is a 9,014-square foot freestanding building built in 2007 which sits on a one acre parcel on West Adams Avenue on Temple’s main thoroughfares. Daily traffic counts exceed 15,000 vehicles. Dollar General exercised their first five year option extending the double net-lease until 31 May 2022. The lease is corporately guaranteed by Dollar General and has two- five year renewal options remaining. Dollar General reimburses landlord $330 per month for parking lot maintenance & CAM reimbursement. A new, $15,000 HVAC system was installed in February 2014. Additionally, the parking lot was re-striped in November of 2015. The total population in Temple is estimated to increase to 61,229, which represents a growth change of 7.14 percent from the current year. Dollar General is one of the nation’s leading discount retailers. Having been in business for over seventy five years and store locations in 43 states Dollar General net sales increased 5.8 percent to total $5.39 billion in the second quarter of 2016. Marcus & Millichap is pleased to present the United States Post Office located Canyon Lake/Sattler, Texas. The property is comprised of a 8,280 square foot building situated on 2.4 acres of land. This Post Office was constructed in 2002 with a 20 year lease term. The Tenant is subject to a signal-net lease (Property Tax reimbursement only) and has approximately six years remaining on the initial lease term. There are three five-year options with rent increases at each renewal. Located within the San Antonio/New Braunfels MSA, the subject property is situated in the heart of thriving communities surrounding Canyon Lake. The population has grown by almost 50% since 2000 and is expected to continue growing more than 9% over the next 5 years. This Post Office serves several communities by providing twelve residential and business delivery routes as well as retail, P.O. Box and shipping services at this facility. Marcus & Millichap is pleased to offer for sale the United States Post Office in Penitas, Texas. Penitas is a growing town located in the Rio Grande Valley of south Texas, within the McAllen MSA. The building was constructed for the United States Postal Service (USPS) in 1998 and has functioned as the city of Penitas' only post office. As of September 2015, there are just over three years remaining on an extended six-year term of a 15-year lease. The second of the three renewal options commences on November 18, 2018 with a 46 percent rent increase. In accordance with the lease the USPS pays all recurring utility bills and reimburses the property owner for paid real estate taxes. The landlord is responsible for the payment of property insurance and repair and maintenance to the building and premises. The United States Post Office in Penitas, Texas offers an investor the opportunity to purchase a single-tenant leased asset with significant rent growth at the next lease renewal. With an all cash purchase of both the Penitas and La Grulla properties, an investor can exceed a combined 8 percent capitalization rate. Marcus & Millichap is pleased to offer BRAKEmax, an ideally located single-tenant asset positioned just off Interstate 10 along North Cortaro Road in Marana (Tucson). The property is situated across from the entrance to the Arizona Pavilions power center, a 70-acre retail center anchored by a Walmart Supercenter and Kohl’s. Retailers at the center include In-N-Out Burger, Bank of America, Chili’s, Panda Express, Taco Bell/KFC, Burger King, AT&T Wireless, Verizon Wireless, Sleep America, Mattress Firm, GNC, GameStop, Sally Beauty, Jack Furrier Tire & Autocare and numerous others. The center is further enhanced with LA Fitness and Harkins Theatres. The property benefits from a high concentration of residential housing in the surrounding area in conjunction with other desirable retail including Chase Bank, McDonald’s, O’Reilly, Cracker Barrel, Texas Roadhouse, Eegee’s, Walgreen’s, AutoZone and a Fry’s anchored shopping center. There are also five hospitality properties in the immediate area: Holiday Inn Express, La Quinta Inn, Day’s Inn, Comfort Inn, and a Super 8. Most notably Simon Properties has broken ground on a multi-million dollar premium outlet center located just over two miles to the north. The Tucson Premium Outlets are scheduled to open in the fall of 2015. Frankford Point Plaza is a 31,611-square foot multi-tenant retail center in Carrollton, Texas. The center is 94 percent occupied, and all leases are triple-net. Tenants consist of Villa Mediterranean Grill, Carrollton PMT Center, Corporate Caterers, Allstate Insurance, Two Men Music, US Healthworks, The Daiquiri Shoppe, Big Slick Poker Academy, and Renegade Classics DFW. The building was constructed in 2002 and sits on 4.32 acres. The subject property is located on the corner of West Frankford Road and I-35 East. Cumulative traffic counts are approximately 155,250-vehicles per day. Other tenants in the area include Central KIA, Classic Buick GMC, La Hacienda Ranch Restaurant, and Racetrac. The area has excellent demographics, with a one mile average household income of $131,200 and a five mile population of 255,969. The property is located in the Frankford Trade Center, home to a Foreign Trade Zone (FTZ) in Carrollton and is the only full service FTZ in the Dallas area. Frankford Trade Center sits on 172 acres, has over 2.5 million square feet and is home to Mary Kay, Hermann Miller, Unisource and Toni & Guy. Marcus & Millichap is pleased to exclusively offer for sale Bandera at Woodlawn, a 34,322-square-foot retail shopping center located at the hard corner of Bandera Road and Woodlawn Avenue. Renovated in 2013, this retail center sits on 2.88 acres and has excellent synergy amongst its tenants of Advance Auto Parts, Dollar Tree, EZ Pawn and Smile Kings. The center is 100 percent occupied with 60 percent of the gross leasable area to credit tenants. Only one lease that represents 15 percent of the GLA expires before 2019. Bandera at Woodlawn is well positioned for continued success, the immediate area is ripe for continued growth. This should put upward pressure on submarket rental rates and increased demand from tenants in the area, in turn increasing the long-term value of the center. The property is directly across Bandera Road from a Walmart Supercenter currently under construction. The property is a pie shaped lot with direct access from both Woodland Avenue and Bandera Road. There are over 385,000 people in a five-mile radius and over 36,000 vehicles per day pass the property. Marcus & Millichap is pleased to exclusively present the Fairview Shopping Center located in San Antonio, Texas. Fairview Shopping Center is a 28,622-square foot neighborhood retail center located in the rapidly growing and extremely affluent area of far northwest San Antonio, Texas. The Fairview Shopping Center is strategically located in one of San Antonio’s most prestigious areas near the Dominion and La Cantera on North Interstate 10, with average household incomes exceeding $180,000 in a one mile radius. A brand new 350-unit upscale multi-family development is under construction adjacent to the shopping center. The HEB Grocery across the street is currently expanding and a Walmart Supercenter is currently under construction across the highway and scheduled to open in June 2015. Additionally, Interstate 10 is expanding at Boerne Stage Road and the Ralph Fair overpass. Models done on these improvements show a 36 percent reduction in morning peak travel time and an extraordinary 75 percent reduction in evening travel time. Marcus & Millichap is pleased to present a freestanding, 2,266-square foot, quick-service restaurant building leased to El Pollo Regio and situated on 0.76 acres in Longview, Texas. This asset features a drive-thru window, an outside patio, a concrete parking area and great visibility on Loop 281. The property, occupied by El Pollo Regio, is conveniently located on a major cross-town thoroughfare in the northeast submarket. Traffic counts exceed 22,000 vehicles per day and average household income is $78,000 within a one-mile radius. The tenant's enjoyed success at this location was recently proven by the extension of their lease for another five years. The submarket offers strong support for both regional and national retailers, restaurants and financial institutions including Ross, Walgreen, Big Lots, Mercado Monterey, Aaron's, Dollar Tree, Chick-fil-A, McDonald's, Taco Bell and Chase Bank. Marcus & Millichap is pleased to exclusively present this 7,000-square foot Advance Auto Parts situated on 1.21 acres in San Antonio, Texas. Advance Auto Parts is under a 15-year, corporate-guaranteed NN lease. There are three, five-year renewal options each with a 4 percent rent increase. This Advance Auto Parts is situated in a densly-populated, blue-collar negiborhood in the north central part of San Antonio. The tenant benefits from recent improvements to Blanco Road that provide more convenient traffic flow to area businesses, schools and Interstate Highway 10. Marcus & Millichap is pleased to exclusively present this 26,925-square foot Office Depot in Corpus Christi, Texas. This asset sits on 1.89 acres conveniently situated in the heart of downtown Corpus Christi. Surrounded by many businesses, including American Red Cross, this property is an ideal investment. Office Depot entered into a double net lease in 1998. There are currently four years remaining on the lease with 9 percent increases in each remaining option. Office Depot is a leading global provider of products, services and solutions for every workplace. The company has combined pro forma sales of approximately $17 billion, employs more than 60,000 associates, and serves consumers and businesses in 57 countries with more than 2,000 retail, award-winning e-commerce sites and a dedicated business-to-business sales organization all delivered through a global network of wholly owned operation, joint venture, franchises, licensees and alliance partners. Marcus & Millichap is pleased to exclusively present the Walnut Square Shopping Center located at the intersection of South Walnut Avenue and Interstate 35 in New Braunfels, Texas. This pronounced shopping center is set in the high-growth Comal County submarket area with excellent visibility and access from Interstate 35 which connects New Braunfels to the San Antonio and Austin metropolitan statistical areas. Built in phases beginning in 1985, the shopping center was originally anchored by Target (not a part). Garden Ridge Pottery acquired the Target parcel and opened for business in 2014 (not included in sale). Walnut Square Shopping Center includes the inline retail space on both sides of Garden Ridge Pottery, two multi-tenant outparcels, a pad site leased to Autozone, a pad site leased to Chase Bank and a third potential pad site that fronts Interstate 35. This property shares the intersection with Walmart Super Center, Lowe's Home Improvement and Texas' dominant grocer, HEB Grocery. Other major retailers at the intersection are Walgreens, Office Max, Planet Fitness, Joann Fabrics, Aaron's Rents, Starbucks and many more! Marcus & Millichap is pleased to exclusively present a 6,116-square foot AutoZone ground lease located at 902 W. Ocean Blvd., Los Fresnos, Texas. AutoZone holds a Standard & Poor’s credit rating of BBB (investment grade) and is rated the number one supplier of aftermarket auto parts. A landlord has zero responsibilities as the lease is absolute net. AutoZone has 10 years remaining on the original 20 year base term with 4 five-year options to renew. The lease carries 5 percent rental increases in each option period. Los Fresnos population has had an incredible growth rate of 20 percent since 2000. Combine that with an increase in traffic which nearly numbers 600,000 annually Los Fresnos is a potent combination of affordability and opportunity for entrprenuers with an eye for an emerging market. Marcus & Millichap is pleased to present Kitty Hawk at 1604 Shopping Center. The property is located in the rapidly-growing northeast side of San Antonio on the signalized intersection of Kitty Hawk and Loop 1604, which sees more than 64,000 cars per day. The intersection also serves South Texas’ dominant grocer, HEB Grocery, and San Antonio’s newest community college, Lakeview College. The property can be accessed from both the four-lane Kitty Hawk Road and San Antonio’s largest highway, Loop 1604. The property was designed and built in 2007 by one of San Antonio’s most successful retail developers. Designed from the tenant’s perspective, the center allows tenants larger store fronts and very shallow bay depths allowing higher rents and reduced vacancy. With a solid mix of experienced local tenants, many of which operate multiple locations, Kitty Hawk is an exceptional stable asset in a growing submarket. Marcus & Millichap is pleased to present this 3,287-square foot medical facility leased to the Christus Spohn Health System in George West, Texas. This medical facility is a NN lease with four years remaining. There is a 2.9 percent annual increase on the remaining lease terms. Christus Spohn, headquartered in Corpus Christi, prides itself on the recognition and commitment to the value of diverse individuals and provides high standards of service and performance. Christus Spohn hospitals were recently ranked in the Top 100 Safest Hospitals in Texas by the Dallas Morning News. For more than 100 years, Christus Spohn has remained a faith-based, value-driven organization dedicated to meeting the needs of the communities it serves. Marcus & Millichap is pleased to present this 15,629-square foot medical facility leased to the Christus Spohn Health System in Beeville, Texas. This medical facility is a NN lease with four years remaining. There is a 2.9 percent annual increase on the remaining lease term. Christus Spohn, headquartered in Corpus Christi, prides itself on the recognition and commitment to the value of diverse individuals and provides high standards of service and performance. Christus Spohn hospitals were recently ranked in the Top 100 Safest Hospitals of Texas by the Dallas Morning News. For more than 100 years, Christus Spohn has remained a faith-based, value driven organization dedicated to meeting the needs of the communities it serves. ﻿﻿Marcus and Millichap is pleased to exclusively present this 6,790-square-foot Advance Auto Parts situated on 1.59 acres in Brooksville, Florida. Advance Auto Parts is under a 15- year corporate guaranteed NN lease. This lease will include a ten percent increase starting on May 11, 2017. The building was constructed in 2007. Advance Auto Parts is headquartered in Roanoke, Virginia and is a leading automotive aftermarket retailer of parts, accessories, batteries and maintenance items, in the United States, serves both the do-it-yourself and professional installer markets. The company operates over 3,900 stores in states, Puerto Rico, and the Virgin Islands and employs over 55,000 team members. Marcus & Millichap is pleased to present Lowe's market located on US Highway 90 in Castroville, Texas (San Antonio MSA). The property consists of a 20,000 square foot building on approximately 1.45 acres. There are approximately 4.5 years remaining in the final five year option of a NN lease. And there are annual CPI rent increases. Lowe's Market has been in business for over 50 years and operates 146 locations across Texas, New Mexico, Arizona, and Colorado. Currently operate under the banners of Lowe's, Lowe's Market, Lowe's Mercado, Lowe's Big 8, and they have a couple of Ace Hardware stores as well. The lease is guaranteed by Lowe's and Industry sources say that corporate annual sales should exceed $1 billion. The subject offering is an O'Reilly Auto Parts located in Florence, Alabama. In a sign of long-term commitment to this proven location, O'Reilly recently extended the lease term by five years and added an additional three option periods that run through 2035. There are currently around 5.75 years remaining on the current lease term. Each of the three, five-year option periods contain attractive 6 percent rent increases. The subject property is situated on a main thoroughfare in town and is only one-half mile from University of Northern Alabama. Within a five mile radius of the property there are more than 53,000 residents. Florence is the largest and principal city of the Metropolitan Statistical Area known as "The Shoals", which includes Muscle Shoals, Sheffield and Tuscumbia metropolitan areas in Colbert and Lauderdale counties. Florence is considered the primary economic hub of northwestern Alabama. In 2013, the population in Florence, Alabama was 53,672. O'Reilly Automotive, Inc. (NASDAQ: ORLY) is is an investment grade tenant and maintains a BBB rating from Standard & Poors. Founded in 1957 by the O'Reilly family, the company operated 4,135 stores in 42 states as of September 31, 2013. ﻿Marcus & Millichap is pleased to present this 9,360-square foot free-standing Family Dollar located in Brownsville, Texas. 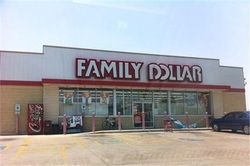 Family Dollar, the nation's number two dollar store as far as number of locations (behind Dollar General), targets shopping for families in multiple income brackets. Fast-growing, Family Dollar operates over 8,100 stores in 44 states. There have been 2,100 new stores added in the last five years while 300 new stores were added in the last year. The location has great demographics for a discount store, with a large population in the low-middle income brackets in the immediate surrounding area. Marcus & Millichap is pleased to present the 34,414-square foot Southern Careers Institute (SCI) building located in San Antonio, Texas. SCI renovated and occupied this former furniture retail building at the end of 2012 and graduated their first class at this location in December 2013. This sale-leaseback investment opportunity offers a 20-year NNN lease agreement with 1 percent annual increases throughout the term and four, five-year option periods. The tenant has a total of three units in Oklahoma. 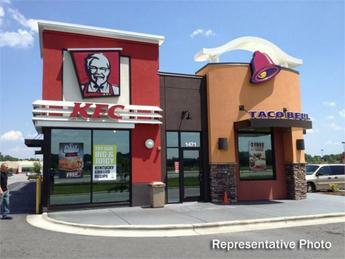 The franchisee is a third generation KFC operator. This investment also offers a personal guarantee for a period of 10 years. 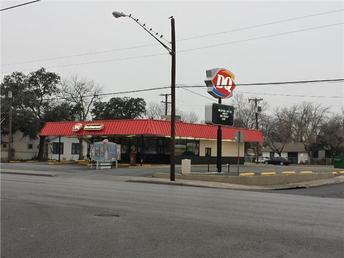 Marcus & Millichap is pleased to present this NNN leased Dairy Queen located in San Antonio, Texas. At less than one-half million, this property is at an attractive price point for many investors seeking to enter the competitive San Antonio market. The operator of this location operates 19 locations in the San Antonio market and has been in business for more than 30 years. Marcus & Millichap is pleased to present the opportunity for investors to acquire a single-tenant asset leased to the Sonic Corporation. The current absolute (NNN) lease has four and one-half years remaining. The lease provides for the tenant to pay the greater of 6.5 percent of the monthly gross sales or the monthly base rent of $8,200. The property is located in the high-growth, high-income area of Bandera Road and Loop 1604 and is located near the newly constructed Walmart Super Center. 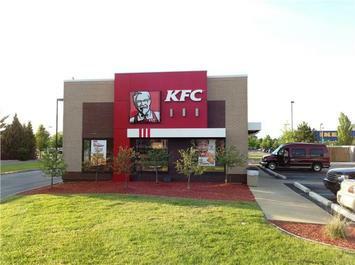 The subject investment is a KFC sale-leaseback located at 41670 Ford Rd. Canton, MI. The property consists of roughly 1,704 square feet of building space and sits on approximately 0.86 acres of land. This KFC will be subject to a 20-year triple net, sale-leaseback with Star Partner Enterprises Two, LLC. The operator owns and operates roughly 128 locations throughout six states with 111 of those units held under Star Partner Enterprise Two, LLC. The tenant will enter into a new 20-year lease at the close of escrow. The base rent will be $84,936 and will be subject to 8% increases every five years, including four 5-year tenant renewal options. Advance Auto Parts (NYSE: AAP) signed a 15 year Lease that expires in November 2020. The Lease contains a 10% rental escalation in 2015 (increases CAP to 7.9%), and 5% increases in each of the three (3), five (5) year option periods. 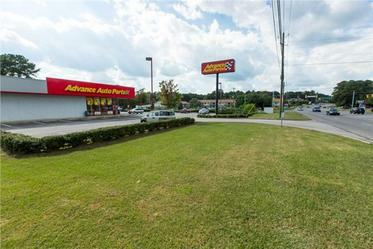 The subject property is a 7,404+/- freestanding Advance Auto Parts located on Chalkville Road in Birmingham, AL. The subject property is located approximately 2 miles off Interstate 59, and located northeast of downtown Birmingham. The property is approximately 1 mile from Walmart Supercenter, Sam’s Club, and Kohl’s. It is also adjacent to the Grayson Valley Country Club. The average household income in the 1 & 3-mile radius is over $67,000, with an estimated population growth in the 1-mile radius of 8% over the next 5 years. Advance Auto Parts (NYSE: AAP) signed a 15 year Lease that expires in April 2020. The Lease contains a 10% rental escalation in 2015 (increases CAP to 7.9%), and 5% increases in each of the three (3), five (5) year option periods. The Landlord has minimal responsibilities under the Lease agreement, only slab, structure and foundation (tenant is responsible for roof, parking lot, and HVAC). Advance Auto, currently S&P rated BBB-, operates over 3,900 locations in 39 states, Puerto Rico, and the Virgin Islands. The company reported sales of $6.2 billion and a net worth of $1.2 billion in 2012. Marcus & Millichap is proud to present Promenade at Encino Commons, a 9,768-square foot neighborhood shopping center located in the rapidly growing North US Highway 281 Corridor in San Antonio, Texas. Situated on a 1.1-acre track, the center is currently 79 percent leased with NNN leases and offers an investor significant upside by filling vacancy and raising rents to market rates. Located north of Loop 1604, the property is positioned in a growing residential and commercial corridor of San Antonio. Patrons have multiple points of access to the center via US Highway 281 and Evans Road and the property is ideally situated in front of Gold's Gym and directly across from an HEB Plus anchored power center. The Promenade at Encino Commons is also convenient of major centers of employment including the Tesoro Corporation's newly constructed headquarters, Clear Channel Communications, J.W. Marriott San Antonio Hill Country Resort and the JP Morgan Chase Regional Operations Center. Average household income in the surrounding three-mile radius is greater than $120,000. Marcus & Millichap is pleased to exclusively present this fee simple Advance Auto Parts offering located in Mission, Texas. Advance Auto Parts is under a 15-year corporate guaranteed NNN lease, with zero landlord responsibilities and 6.5 years remaining. This lease will include a 10 percent increase starting on January 1st of 2015. The building was constructed in 2004. The McAllen MSA has shown rapid growth in the past five years, with 2012 statistics naming it: The #1 MSA in terms of long term job growth, The fastest growing metro area in the nation, and the seventh fastest growing US City. Click photo to register and access marketing materials. Marcus & Millichap is pleased to offer a 14,300-square foot, single-tenant retail building leased to Family Dollar on over one acre of land in Junction, Texas. The building was constructed in 1987 as a grocery store and renovated in 2011 for Family Dollar as a relocation within the market. There are five and one-half years remaining on the original seven year NN lease expiring on June 30, 2018. The lease is a corporately guaranteed Family Dollar and there are five, five-year renewal options with a 8.25 percent rent increase in each option. Westlake Ace Hardware is located in Sapulpa, Oklahoma (Tulsa MSA). The Westlake Ace Hardware is a 37,995-square foot property located on over three acres of land and is situated on a hard corner in the primary business district of this Tulsa suburb. The store is located on the highly traversed Main Street, with excellent neighboring tenants such as McDonald's, Walgreens, Autozone, Dollar Tree, Hibbett Sports, Sherwin Williams and several other national retail stores. with over 4600 stores in all 50 states. Westlake Ace Hardware has 88 locations and over $240 million in annual revenue. The stores distribute such products as electrical and plumbing supplies, garden equipment, hand tools, housewares and power tools. Marcus & Millichap is pleased to present six pad sites available for development in Corpus Christi, Texas. These tracts have excellent retail potential. Most of the locations are located on or very near to IH-37 with traffic counts exceeding 50,000 cars per day. The tracts may be sold together or individually. Marcus & Millichap is pleased to offer this 21,250-square foot Walmart outparcel in Kingsville Texas. The property's excellent location has attracted a strong mix of national and local tenants. The property is priced at nine percent cap rate on actual income at 83 percent occupancy offering investors the opportunity to significantly improve their return by leasing up the vacant space and raising rents. Kingsville Texas is home to Texas A&M University - Kingsville and the Naval Air Station at Kingsville, the area's top two employers. Marcus & Millichap is pleased to present this NNN Leased Burger King with nine years remaining on the lease. The lease offers annual increase amounting to the greater of one percent annual increases or 8.5 percent of annual sales. Burger King Corporation is the world's second largest quick-service hamburger chain, with over 11,000 restaurants operating in 65 countries and international territories around the world and in all 50 states. Worldwide restaurant sales are over $11.1 billion. Burger King, Conoco and Exxon for development and operations excellence. Marcus & Millichap is pleased to present this 100 percent occupied, newly developed shopping center at the intersection of Loop 410 and 281 South. Espada Shopping Center is 100 percent occupied with a mix of regional and local tenants on NNN leases. The intersection accommodates more than 60,000 cars per day and is shared with national names such as Jack-In-The-Box (open 24 hours), McDonald's and Holiday Inn Express. The area has been benefiting from explosive growth due to the recently discovered Eagle Ford Shale which has created an oil boom. Additionally, the area is benefiting from the newly constructed Texas A&M University-San Antonio campus which is anticipating more than 25,000 students by 2025. Marcus and Millichap is pleased to present the unique opportunity to acquire this mixed use development located in San Antonio, Texas. This successful development features a retail component, small office suites and self storage. The retail portion is 100 percent occupied with below market rents and the office/storage component is occupied at 75 percent on average. The office/storage suites meet the growing demand for small businesses who need a small office and optional storage space. Located less than a block away from one of San Antonio's newest and largest high schools with more than 3,600 students. The submarket has experienced unprecedented growth in the past five years and has grown by more than 50 percent since the year 2000. The property can be purchased at a 10 percent capitalization rate on actual income which yields an attractive 22 percent cash-on-cash return with the proposed SBA financing. Marcus & Millichap is pleased to present this multi-tenant retail center for sale. The 13,621-square foot center features excellent visibility with frontage on three roads. beautification project. The beautification project included new sidewalks, light posts, artistic bus stops, historical markers, landscaping, etc. This area boasts impressive residential density of 392,000 in a five mile radius and a projection of more than two percent annual growth. More than half of the roof was replaced in 2004 and all of the HVAC units are less than seven years old. Marcus & Millichap is pleased to present the opportunity to acquire this 79 percent leased property on the corner of Huebner Road and Babcock Road located in northwest San Antonio near the growing South Texas Medical Center. The approximately 60,000-square foot shopping center is anchored by investment grade Dollar Tree and features several other national and local tenants on staggered lease terms and low rental rates. With more than 136,000 people living within a five mile radius and average household income of over $65,000, the center is well positioned for long-term stability. HEB Grocery recently relocated from the adjacent property to a newly developed HEB Plus Grocery Store directly across Babcock Road from Carillon Hills Shopping Center. 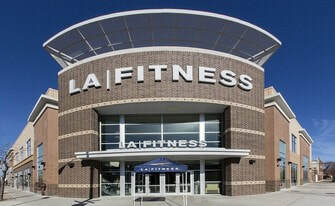 The adjacent former space, which is part of a separate building, is being filled by LA Fitness. Marcus & Millichap is pleased to present the opportunity to acquire a 14 property portfolio of tertiary market grocery stores located across the state of Texas. The portfolio consists of 12 grocery stores, one warehouse and one non-affiliated hardware store. The tenant, Lowe's Market, has been in the business for nearly 50 years and operates 146 locations across Texas, New Mexico, Arizona and Colorado. Industry sources say the annual sales for Lowe's should exceed $1 billion. The stores are typically located in smaller markets with limited or no competition from other grocery stores. The leases are full NNN requiring practically no landlord responsibilities. This auction is for the fee simple interest in a commercial real estate building in Aransas Pass, Texas. The property consists of a 12,386-square foot office building and a 1,746-square foot motor bank facility. Bank of America has signed a new five year lease for the motor bank facility and 4,894 square feet within the office building. The remainder is vacant. Aransas Pass is in the Corpus Christi MSA and part of the Golden Crescent economic area of the Gulf Coast region. The main industries in Aransas Pass are petroleum and fishing related. Aransas Pass is also the main Northern gateway to Port Aransas, a well known tourist destination on North Padre Island. Marcus and Millichap is pleased to present this single tenant net leased investment located in the heart of one of the nation's leading investment locations, San Antonio, Texas. This investment features an attractive return from a stable tenant which has operated successfully in this build to suit location since the early 1980's. Shepler's Inc. (Shepler's Western Wear) is the world's leading western wear multi-channel retailer. Sheplers has been in business for over 110 years and was acquired by San Francisco based equity group Gryphon in 2007. Gryphon plans to grow the business along side the Shepler's team through store openings and store acquisitions. The property is ideally located amongst the nation's largest retailers such as Best Buy, Macy's, Marshall's, Petco, Bed Bath and Beyond, LaZBoy, AT&T, Ross, among others. The property is also located adjacent to Ingram Park Mall and has direct access to the Mall from Shepler's parking lot. Ingram Mall features more than 150 retailers in this densely populated Central San Antonio location. Marcus & Millichap is pleased to offer for sale a Corporate BJ's Restaurant Ground Lease, a single-tenant net leased superior dining establishment located at 4201 IH 35 N, Round Rock (Austin), Texas. The property is located at the entrance to Round Rock Premium Outlets which is home to 125 outlet stores. Some stores include Burberry, Disney Store, J Crew, Tommy Hilfilger and NineWest to name a few. Shop, dine, live and entertain in a beautifully designed center that offers unique shopping and dining including many new stores you won't find anywhere else in Round Rock. The tenant, BJ's Restaurant Inc., is a publicly traded company which is one of the fastest growing companies in the nation. BJ's Restaurant Inc. will sign a brand new twenty year lease at the close of escrow which will also include a 10 percent increase in year 10. The newly built BJ's Restaurant will be completed in July 2012 and will be approximately 8,500-square feet on a 117,000 lot. This investment property is strategically located directly off of Highway 35 and minutes away from Texas State University which is home to over 34,000-students. Marcus & Millichap is pleased to present investors the opportunity to invest in a realistic value-add, multi-tenant retail deal. Although Blockbuster is currently dark they continue to pay rent and are under a lease until June 2012. Blockbuster subleased a portion of their space to a successful Domino's Pizza franchise through 2014. The Domino's franchise has a Right of First Refusal to purchase the property. Investors are afforded the opportunity to enjoy the remaining months of Blockbuster rent while preparing to re-tenant this highly visible retail space with good demographics and strong surrounding traffic drivers. The property is already subdivided into two suites saving a new owner thousands of dollars in improvement costs. A new owner with a reasonable budget of $200,000 for tenant improvements and leasing commissions, can re-tenant the property and achieve a 10 percent capitalization rate at the listed price. Marcus & Millichap is pleased to present investors the unique opportunity to purchase an AutoZone Ground lease offering the potential of more than a 7% cash return in less than a year on a ground lease. Currently with less than a year left on the initial term, the Tenant has expressed strong interest in renewing early and is requesting aditional option periods. With rental increases in each option, investors can increase their return significantly to 7.02% in the first option and 7.72% in the second option. The future owner will then be free to bring rents to market and see a significant increase in return. The current owner is also offering for sale the Family Dollar and the adjoining pad site, each available for joint or seperate sale. Both tenants are expected to renew. Marcus & Millichap is proud to present Redland Trails, a 32,623-square foot neighborhood shopping center located in the rapidly growing North Loop 1604 Corridor in San Antonio, Texas. Situated on a hard corner, the center is currently 88 percent leased with NNN leases. At the current occupancy, an investor may close to a 9 percent capitalization rate and an 11 percent cash-on-cash return. Additionally for qualified investors, non-recourse debt is available through Marcus & Millichap Capital Corp.
Marcus and Millichap is pleased to present investors the opportunity to acquire this 100 percent leased shopping center outparcel to Sam's Club and Walmart. The long term NNN leases feature staggered expiration dates with 10 percent increases in each option period. The immediate area is surrounded by national retailers such as: Target, Ross, Academy, Best Buy, Bank of America, Burlington Coat Factory, Walgreens, Conn's and others. McAllen is reported as being #1 in the State for household retail sales (McAllen EDC), #7 in the United States for America's Most Recession - Resistant Cities (Brookings Institute) and the McAllen-Edinburg-Mission, MSA was ranked #4 best performing cities (Milken Insitute). The McAllen MSA is the only major MSA reporting positive job growth according to a 2010 Brooking's study. The subject property is a BJ’s Restaurant Ground Lease located in Fort Worth, Texas. BJ’s Restaurant has signed a 20-year NNN ground lease with 10% rent increases every five years in both the initial term and two, five-year options. Positioned at the intersection of Interstate 35 and Heritage Trace Parkway, BJ’s Restaurant is an out-parcel to Alliance Town Center, a projected two million square-foot mixed use center anchored by Belk, Best Buy, PetSmart, JCPenney, Hobby Lobby, Rooms To Go, Kroger, Cinemark Theatre and many more. Other tenants at Alliance Town Center include Ulta, Kirklands, Jos. A Bank, Freebirds, Massage Envy and numerous others. BJ’s Restaurant is located within AllianceTexas, a 17,000-acre master planned, mixed use community situated in north Fort Worth. Anchored by the inland port known as the Alliance Global Logistics Hub, AllianceTexas is home to 230 companies, 28,000 employees and over 7,100 single-family homes. The AllianceTexas development includes over 5,000 multi-family units, 7,000 acres of industrial space and over 800 acres of office space. The AllianceTexas development is forecasted to have a $23 billion economic impact to North Texas. Sonic Drive-In is an original 15-year absolute net lease located in San Antonio, Texas with over eight years remaining on the primary term. The property is positioned just off the intersection of Loop 1604 and Potranco Road across from a recently constructed HEB Plus grocery anchored shopping center. The lease is an absolute net lease requiring no landlord responsibility. The lease includes a percentage rent clause and two, five year options to renew. Other retailers in the area include Walmart Supercenter, Kohl's, Academy Sports, Bealls, Starbucks, Pei Wei, Chase Bank, Payless Shoes, etc. 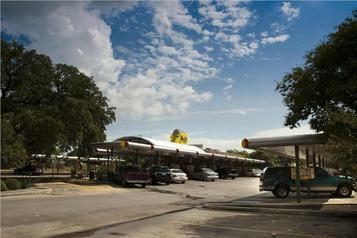 Sonic is located one block from the intersection with Loop 1604. The surrounding population has grown by approximately 48 percent since 2000 and is expected to continue to grow by another 23 percent by 2014. Surrounding household income averages around $65,000. With over 3,500 locations, Sonic is the nation's largest chain of drive-in restaurants. Opening over 900 new locations in the past five years, Sonic now has a presence in 42 states from coast-to-coast. Located in Arlington, Texas, Texas Land & Cattle Steak House is a 7,918 square-foot, single tenant, absolute net-leased restaurant located on 1.47 acres. The location was built in 1997 specifically for Texas Land & Cattle and has three years remaining on the corporate guaranteed, 15-year primary lease term with two, five-year options. Additional rent is available in percentage rent. Texas Land & Cattle Steak House was started in 1993 in the Lone Star state. Today, the company operates 28 restaurants and are open seven days a week for lunch and dinner. Texas Land & Cattle has a prime location on East Copeland and Ballpark Way with excellent visibility from Interstate 30. This ideal location is extremely close to some of Dallas/Fort Worth's most visited attractions including Six Flags Over Texas, Six Flags Hurricane Harbor, Texas Rangers' ballpark, the new Dallas Cowboys' stadium, and Arlington Convention Center. Arlington is one of the fastest growing areas of the country, the third largest city in north Texas, and the 50th most populated city in the United States. Additionally, Arlington is the “Entertainment and Sports Hub” of the Dallas/Fort Worth metroplex. Marcus & Millichap is pleased to offer Sunset Plaza Shopping Center in San Angelo, Texas. This is a 100 percent leased, stabilized asset that offers an investor the rare opportunity to acquire a well constructed multi tenant retail center at almost a 9.25 percent Cash-on-Cash Return. The property is a 36,686 square foot inline center on Sunset Drive consisting of five tenants and one pad site. Sunset Mall, San Angelo's regional mall, located across Sunset Drive from the subject property, is home to the major retailers such as JCPenney's, Dillard's, Sears, Bealls and Old Navy. The adjacent shopping center to the east is home to a newly opened Gold's Gym. Across Sunset Drive to the west is a recently constructed Target anchored Power Center. Other major retailers in the immediate area include Best Buy, Office Max, Toys R Us, Office Depot, Lack's Furniture and Home Depot. This is an opportunity to purchase a long-term Corporate Ground Lease in Laredo, Texas guaranteed by Hi/Lo Auto Supply. The property is located directly off of Interstate Highway 35 between the Interstate and San Bernardo Avenue in a rapidly growing area of the city. The property has access from both Interstate Highway 35 and San Bernardo Avenue. Other retail property surrounding the property include Wal-Mart, Dollar Tree, Office Max, Toysrus, Petco, Kohls, Cinemark, Linens n' Things, Ross, Michaels, Shoe Carnival, Sam's Club, Big K-Mart, HEB, Stein Mart, Ashley Furniture, Burlington Coat Factory, and many more. O'Reilly Auto Parts was constructed in 2004 and has no management responsibility whatsoever. This original O'Reilly Auto Parts ground lease has over 16 years remaining on the lease with two percent annual rental increases. This is an opportunity to purchase a Napa Auto Parts in Harlingen, Texas. Harlingen is located in the rapidly growing Rio Grande Valley of Texas between McAllen and Brownsville. The original ten-year NN Lease (Tenant reimburses for Taxes, Insurance and Utilities) currently has over eight years, with one, five year option remaining. The lease is corporately guaranteed by Genuine Parts Company, $2.7B Net Worth, (NYSE: GPC). In December 2009 there is a seven percent rental increase. The Napa Auto Parts was constructed in 1997 and sits directly across from HEB Supermarket. Other retailers in the area include: Bealls, Payless Shoes, Sherwin Williams, Family Dollar, O'Reilly Auto Parts, Pizza Hut, Long John Silvers, Midas, Jeep and Mitsubishi. Marcus and Millichap is pleased to present the Babcock Plaza Shopping Center located at the intersection of DeZavala and Babcock Road in the middle of the fastest growing quadrant of San Antonio. Directly in the northwest San Antonio growth path, is center positioned between the South Texas Medical Center and the University of Texas at San Antonio. Babcock Plaza is a 29,930-square foot, multi-tenant neighborhood center built in 1983. The center is currently 84 percent occupied in a 98 percent occupancy submarket. Directly across Babcock Road is a 246-unit apartment complex currently under development that will complement the neighboring 250 unit complex across the same intersection. Also currently under construction in the immediate area, a new public middle school should come online in 2008 to meet the growing population. This offering also includes an adjacent parcel of raw land approximately 1.5 acres for an additional $400,000 or approximately $6.12 per square foot. The average price for comparable land parcels in the area is over $7 per square foot. The owner would prefer to sell the land with the shopping center but would consider separating. For additional information, please contact agent. The Westlakes Village offers an investor the rare opportunity to purchase a multi-tenant building on San Antonio's Loop 410 significantly below replacement cost. The property sits on the Southwest corner of Waters Edge Drive and the Loop 410 Southbound access road with excellent visibility and highway access to and from Southbound Loop 410. The Westlakes Village consists of two multi-tenant buildings totalling 86,990 square feet that are currently 50 percent occupied as well as two pad sites approximately two thirds of an acre each. The Stonehue Center is an excellent investment opportunity in one of the fastest growing and desirable demographic areas in San Antonio. The center is well located next to the Huebner Road and Stone Oak Boulevard intersection, one of the busiest intersections in the rapidly growing Stone Oak area. The north San Antonio suburb has recently announced that it will be the new home of the Washington Mutual Regional Operations Center, bringing 4,200 jobs to the immediate area in the next 5-7 years. The center is 100 percent occupied with NNN leases and rent increases. 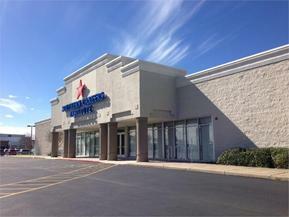 This center offers the investor a stabilized return in a high growth area.